I have tested it and can confirm that it works 100%. Give it a go as its a great game and runs completely smooth. 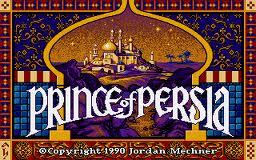 I just compiled this PKG with the very first Prince of Persia ready to play on your PS3. Enjoy it. I tested it and found no problems, however if you do find any issue please let me know by PM or on this thread. Thank you. I simply Used the fail0verflow tools and the Dosbox port for PS3. Nothing too hard. Btw, I updated the download. There's another PKG for the Homebrew category if you have it, and it has SND0.AT3 now.